This website is called the Chilli Pepper Penguins blog. Otherwise known as: https://chillipepperpenguins.wordpress.com/ This site is for people who need help playing the game of Club Penguin. 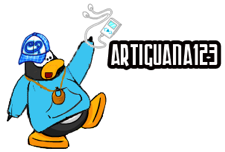 It provides Club Penguin cheats, no hacks at all, info, tips, guides, some glitches that may be found on Club Penguin, and especially no trackers or third party widgets. When a user comments, no personal information is asked for, and if for some reason, there is personal information found in the context of a comment that interferes with the good-being of that person, it is taken away. This site has absolutely no agreements or connections to third parties. There are no advertisements on this website that I put up on here to help me pay my bills. I will never have any of those “Sponsors.” However, since this website is under WordPress, WP may automatically, without my consent, place ads that help pay their bills under my posts. This happens rarely, and all the ads that are given are of G-Rating. This site is very cool and unique due to the fact that I, myself, provide a unique twist not found on any other Club Penguin blog. That is making it based on a penguin who is very spicy all the time eating the food “chilli” and red/green chile peppers. 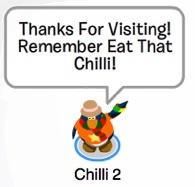 Another nice thing is that they’re other Club Penguin bloggers that are friends of mine on Club Penguin. We share the same purpose in blogging to help out people and have fun. 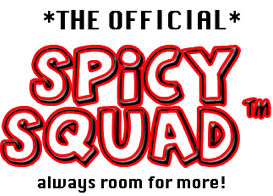 Keeping fun in mind, there is the Spicy Squad! This can be found on the side of the page and this is very popular for the viewers of this site. Therefore, the only personal information that is collected, is that person’s Club Penguin Username. All Given Copyrights are listed for Club Penguin too. Hello Chilli again! I don’t know if you set it this way, but on all the comments it always says 4:44. I’m going to add this site to my “Other Cool Websites!” part of my site. I think the reason I’m not getting much traffic is because I didn’t know my username was going to be the site address… Could I be added to your blogroll? Yeah I’ll add you to my blogroll. Haha your right it always says 4:44 I don’t know why. I don’t think I set it that way, going to have to fix that.